The Kingdom of Thailand, country of smile, is located in the heart of South East Asia. 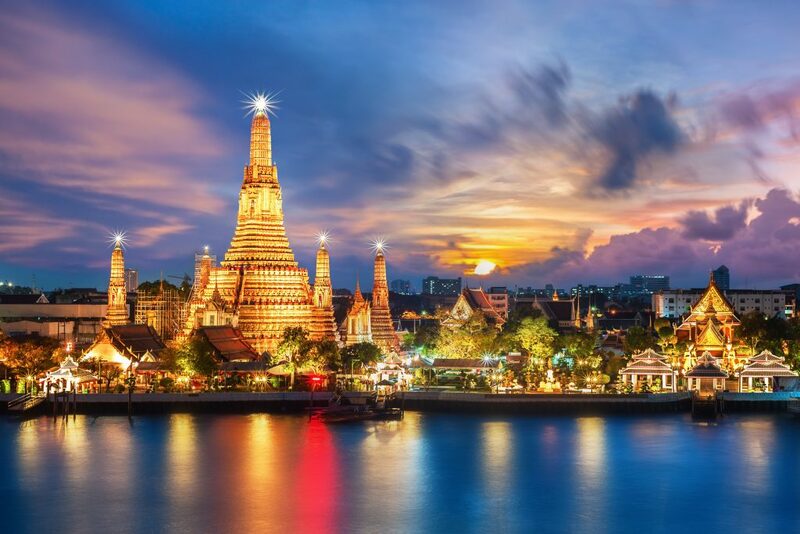 With the area of 513,120 square kilometres, Thailand is the 50th-largest country in the wolrd. Among Southeast Asian countries, Thaialnd is the only one that was never colonized by an European country. In fact, in the Thai language, the name of the country is Prathet Thai which means “land of the free. Thailand is divided into 76 province (จังหวัด, changwat), which are gathered into five groups of provinces by location. There are also two specially-governed districts: the capital Bangkok (Krung Thep Maha Nakhon) and Pattaya. Bangkok is at provincial level and thus often counted as a province. 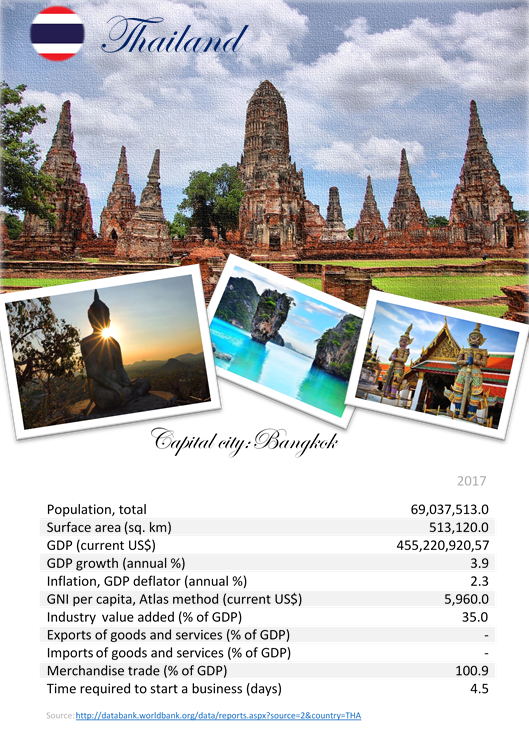 The country is well-known for tropical beaches, opulent royal palaces, ancient ruins and ornate temples displaying figures of Buddha.The elephant is Thailand’s national symbol.